The Ladies of Screen-Printing, and the Titans of Tile! Another busy week at Lunenburg School of the Arts with classes in both screen-printing on cloth and ceramic tile making. The ladies took over the Garage Studio creating their own colourful designs on fabric in the, ‘Spinnaker Seas: Silk Screen Printing on Cloth’, workshop. 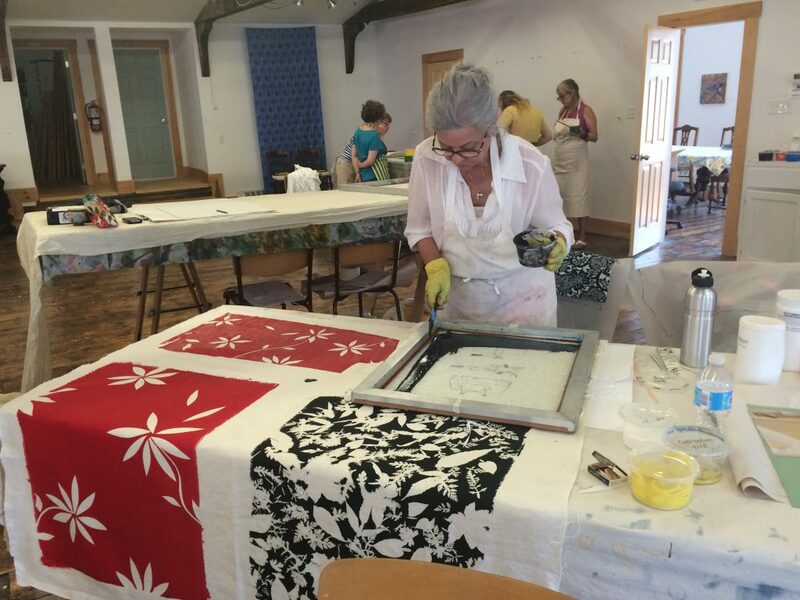 “I am a fibre fanatic and I have always wanted to experience screen printing on fabric, Nancy Price’s class was an easy choice. It was a great in every way, great space, great vibes, great colleagues and a great teacher. Thanks for this opportunity right here in little old Lunenburg where I live and work.” Laurie Swim, Laurie Swim Gallery, Lunenburg, N.S. 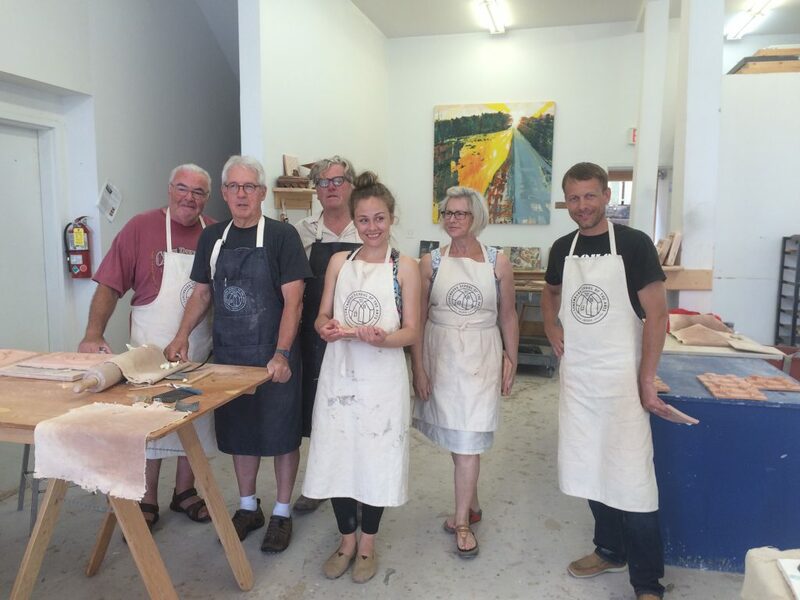 Meanwhile, in the East Bay Studio, ceramic tile making was in full production in the, ‘Lunenburg Tile Academy: Handmade Ceramic Tiles’, workshop as the class created their own designs and moulds inspired by the Town of Lunenburg. “If you are looking to extend your fine arts learning with inspiring (& patient) instructors, a place to bond with likewise artful enthusiasts, a setting deep in the heart of maritime salty happenings, LSA is the way to go. I will certainly be heading back there again soon!” Faune Creaser, Lunenburg, N.S.